Canadian Bank Competitors: Royal Bank of Canada (RBC), Bank of Nova Scotia, Bank of Montreal, CIBC. Note: if you are interest in banking review, please check my MEPB financial website in future. Variety of investment choices to invest in stocks, options, CDs (certificate of deposit), Exchange Traded Funds (ETF), futures, mutual funds, forex, bonds, etc. It provide flat rate of commission fee for equity trade with no maintenance fee. It only cost $9.99 per trade to buy stock online. It also provide variety of complex trading tools. 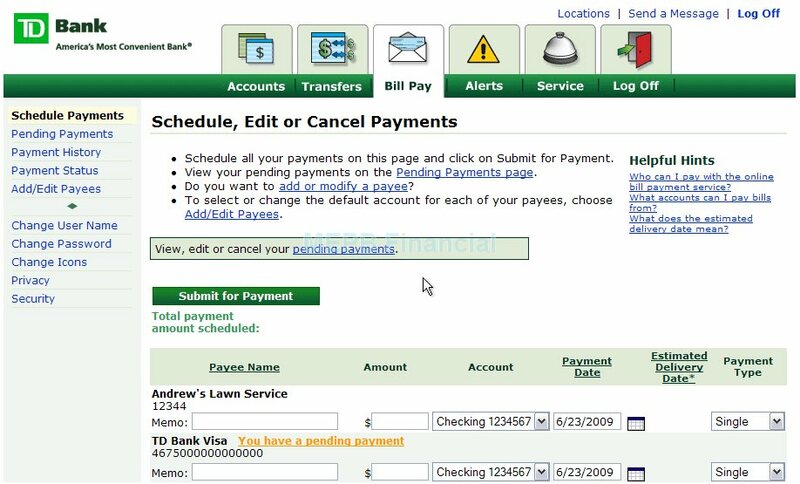 TD Bank does provide variety of financial banking products such as checking account, saving account, Certificate of Deposit (CD), credit card, insurance and investment. 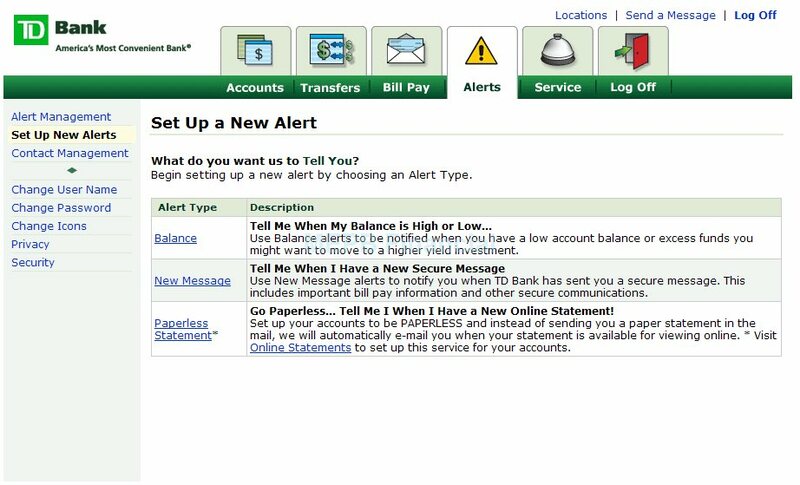 TD Bank can be your “One Stop Shop” for all your banking needs. 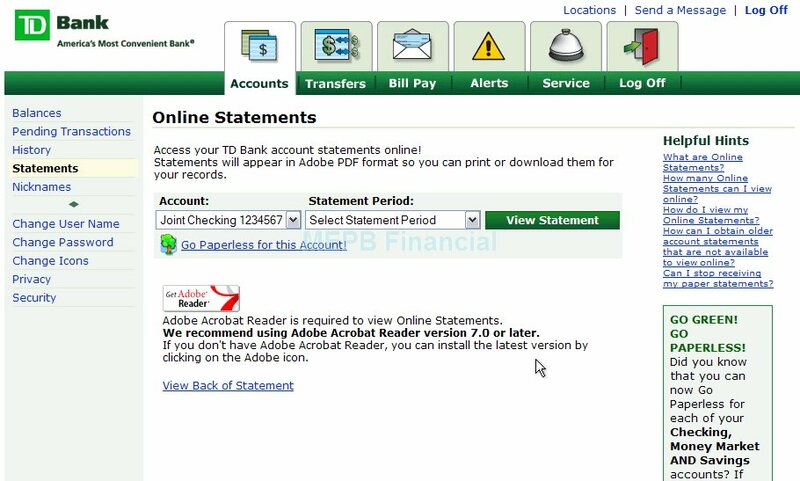 I would recommend using TD bank if you are based on eastern part of North America especially Northeastern part. 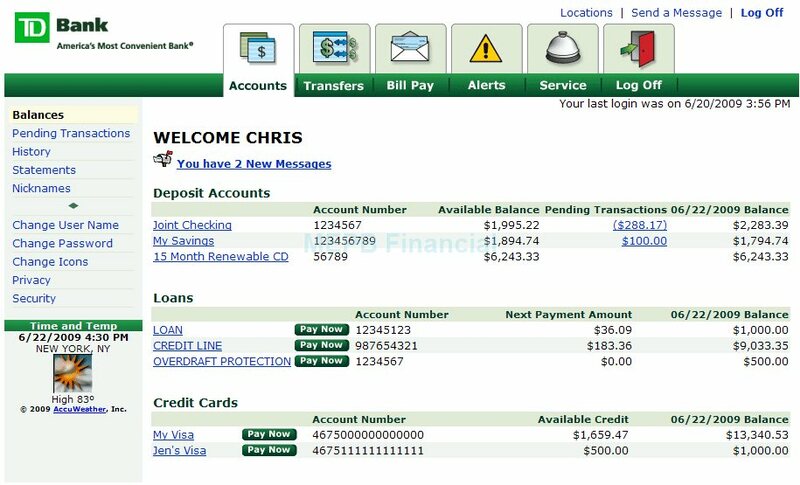 TD Savings account and investment account through TD Ameritrade are highly recommended. The savings account doesn’t have any monthly fee and provide competitive interest rate. TD Ameritrade provides complete tools for active trader as well as investor.